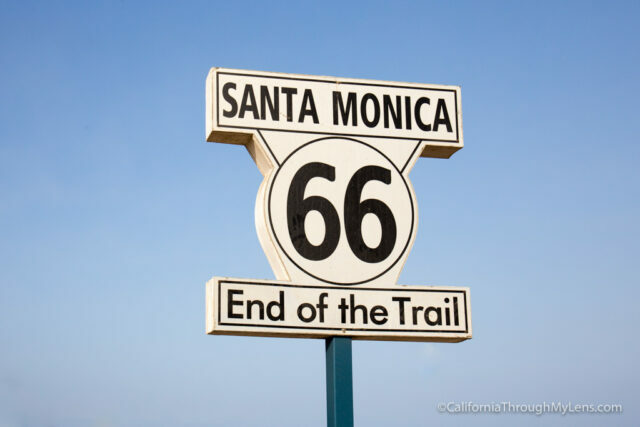 The section from Rancho Cucamonga to Santa Monica is the last part of Route 66, and if you have been doing it all the way from Chicago, then it can be pretty bittersweet to make it finally to the end. I haven’t been able to do that yet but I have completed the entire CA portion and I can say it is a fantastic road. I imagine driving it all would be pretty amazing. Here are the stops in order of when you will see them. They will take you to most all of the historic places on Route 66 along this stretch. 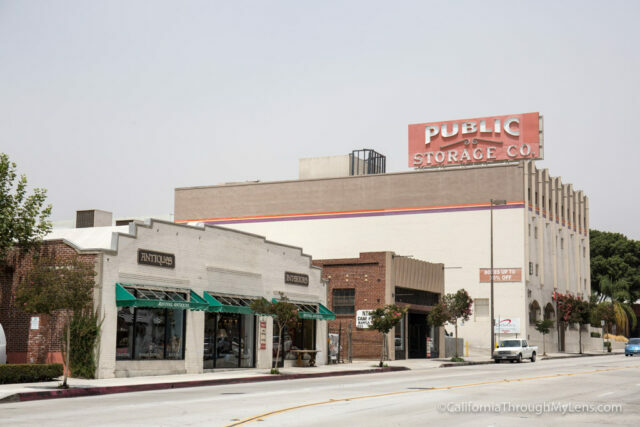 Do note that most of this drive is through modern and updated areas with little to no Route 66 history, especially since the Los Angeles area has grown so much over the last century. This section of Route 66 follows Foothill Blvd for most of the first half. 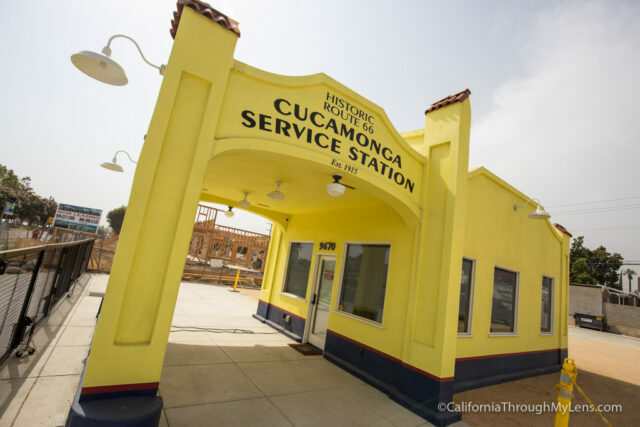 After passing the incredibly popular Victoria Gardens (feel free to stop and shop if you would like), the first historic spot you will reach is the Cucamonga Service Station. This is one of the best stops during this section as it is a recreated old service station and it is charming and memorable. When it is open, you can walk around and even go inside to buy merchandise. 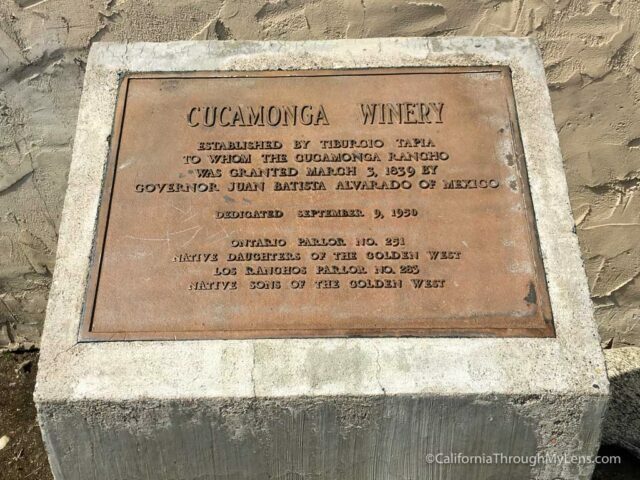 A few miles down the road you will reach the Thomas Winery Plaza which is the spot where the oldest winery in California used to sit. The building is still there, but the winery is long since gone. You can see a historical plaque there if you desire. This famous horse and buggy stop has a history that predates Route 66 as do a few other items on the list. 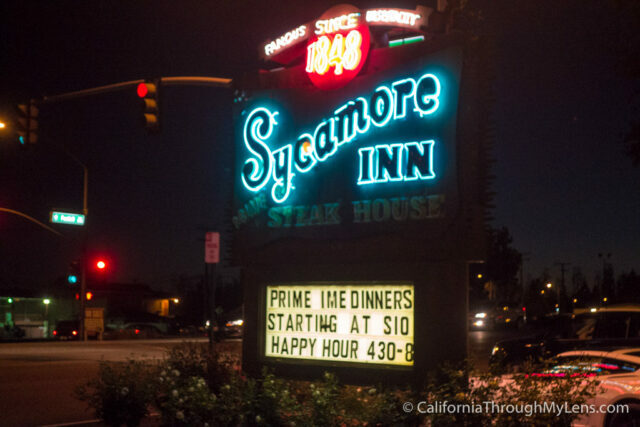 It is an upscale steakhouse now, but it still retains a lot of that historic charm, and it is worth a stop. 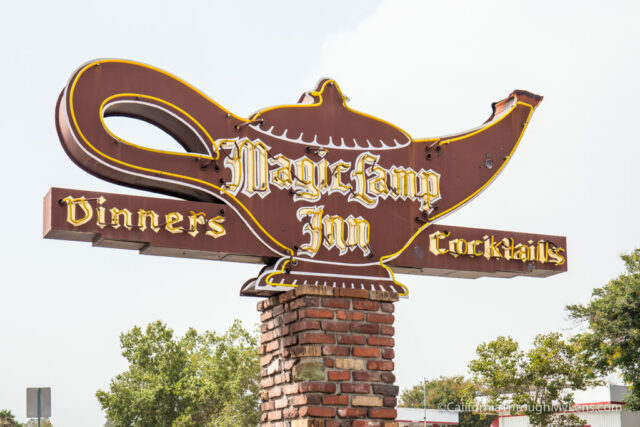 About a quarter mile from Sycamore Inn, the Magic Lamp is a fun restaurant and bar with the historic Route 66 vibe. It has a sign about its history on the mother road outside and a fun neon sign complete with a magic lamp on it. This is one of my favorite stops on the route cause they have great donuts, not because it is historic. 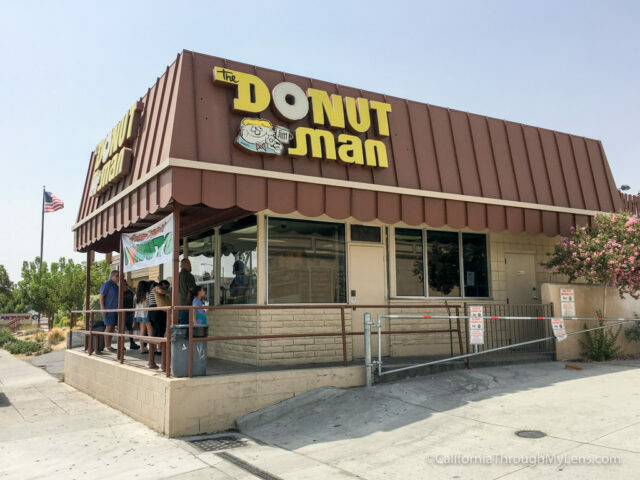 The Donut Man is especially fantastic for fruit donuts and if you go during peach season, which is only a few weeks out of the year, then be sure you get one. From here I would recommend continuing on Huntington Rd then turning right on Mountain and then a left back onto Foothill. 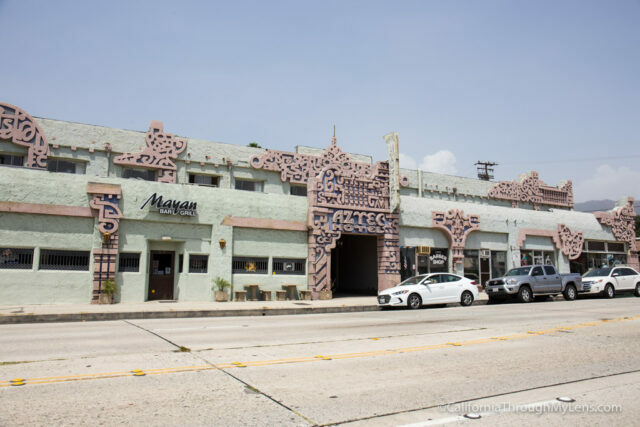 This Mayan-inspired hotel was designed and built on Route 66 in 1924. It has been closed on and off for renovations over the years so if it isn’t open when you go then just take a photo of the impressive facade from the outside. From Foothill I would turn left on Sierra Madre then right on Colorado to continue Route 66. Located right in front of the McDonalds on Colorado, this gravestone looking rock is a historical mile marker. 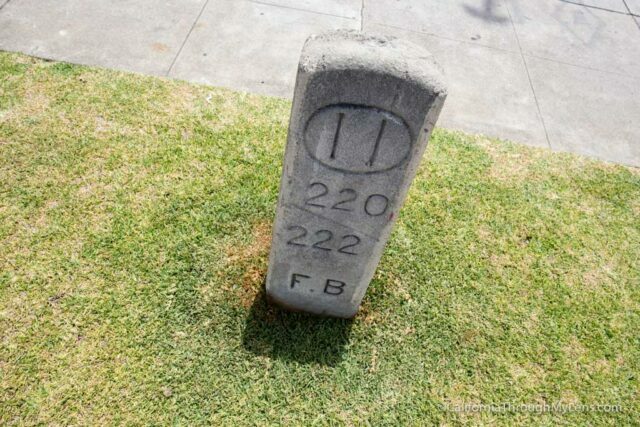 The markers were placed at the turn of the century to designate cities and areas along the road, and this is the only remaining one on the entire drive. Before getting back in your car, look across the street at the Howard Motor Company Building. 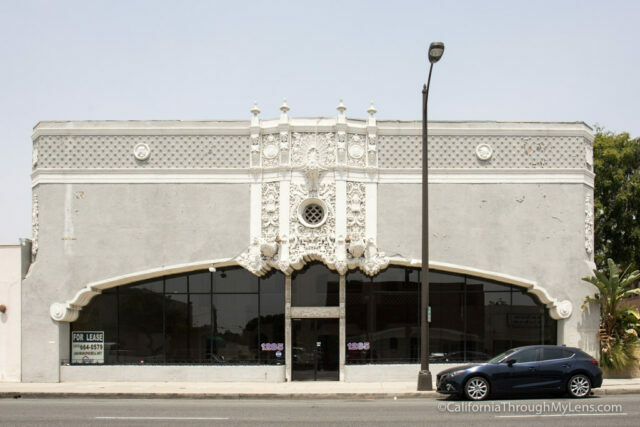 This building was designed for the Howard Motor Company to sell cars in the 1920’s. Today there is nothing in it, but the unique architecture is worth the stop. 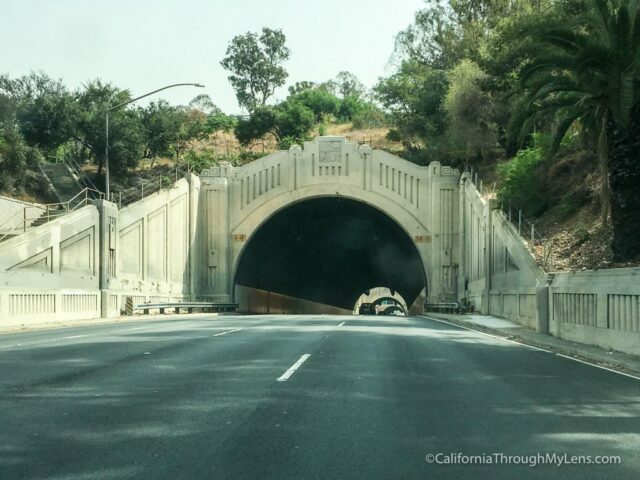 One of my favorite bridges in Southern California, this historic structure was a part of Route 66 history as well. It was even the highest bridge in the world when it was completed back in 1913. Read more about how to best see it here. Set the GPS for 511 South Fair Oaks Ave to find the next spot. This massive sign is much bigger than what you would expect to see nowadays. It is located on top of an old building, and it was impossible to miss when it debuted in 1926. 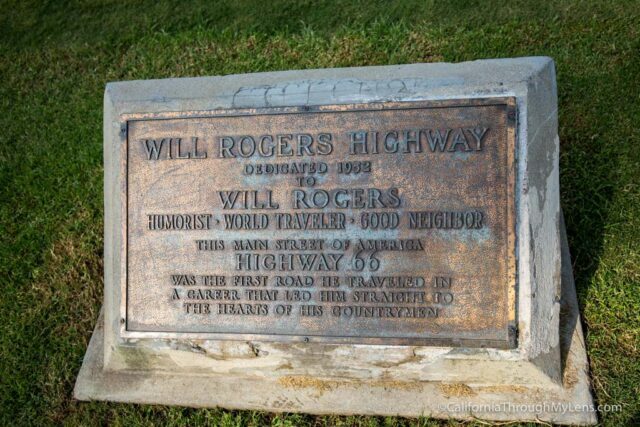 The name on the sign has changed since its creation, but it is the only pre-war sign in Pasadena today. This grand theater from 1925 has deteriorated a lot over the past decade. Today it is not in use, but it is still pretty impressive to see from the outside. 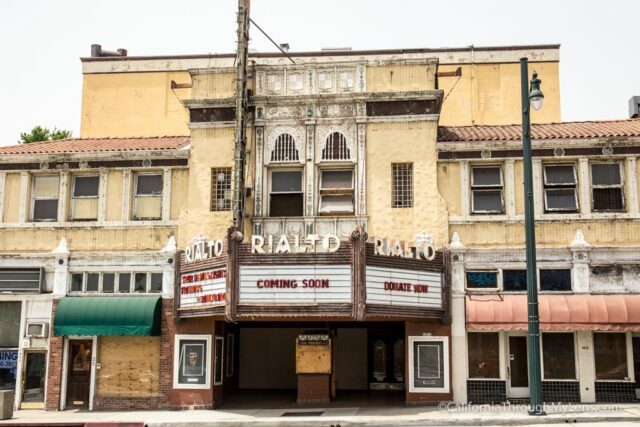 I hope they one day redo it so that it can retain its former beauty. 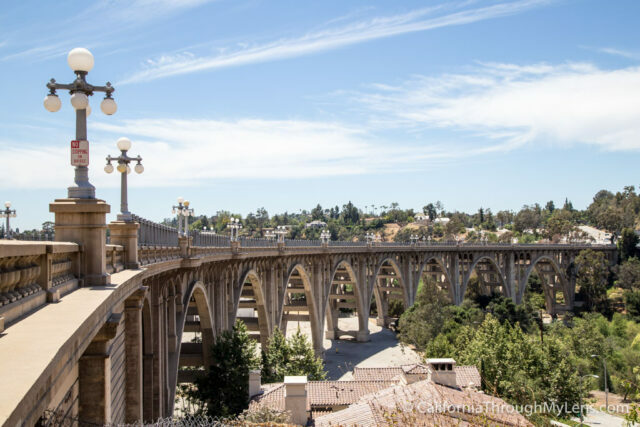 Noted as one of the first freeways in the United States, Highway 110 from Pasadena to LA is still full of historic bridges and stops. It has remained virtually unchanged since it was created, which is a marvel for a city as big as LA is. You can just drive the whole thing, or you can get off at a few stops. I recommend stopping here as it is a grocery store that has been around for decades and that has a huge selection of old sodas and candy. 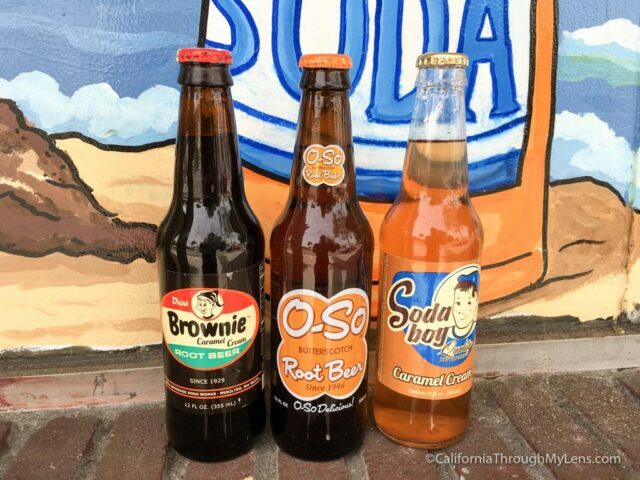 Even though it is a little off Route 66, it is a great spot to relive the historic road you are on via food. 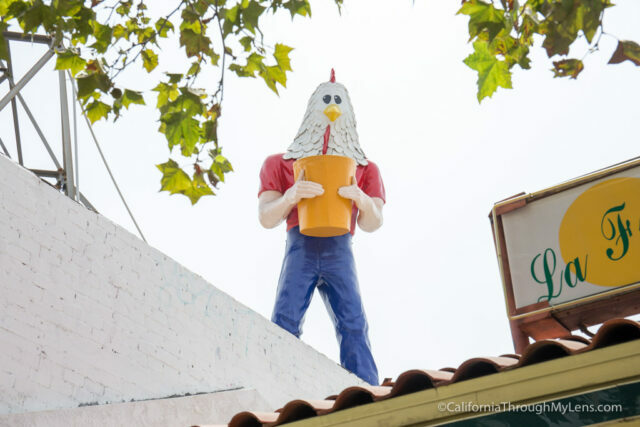 Located in what used to be part of Route 66, this strange statue sits on top of a Mexican food restaurant, and it is hard not to want to stop and take a photo of it since it is so different. 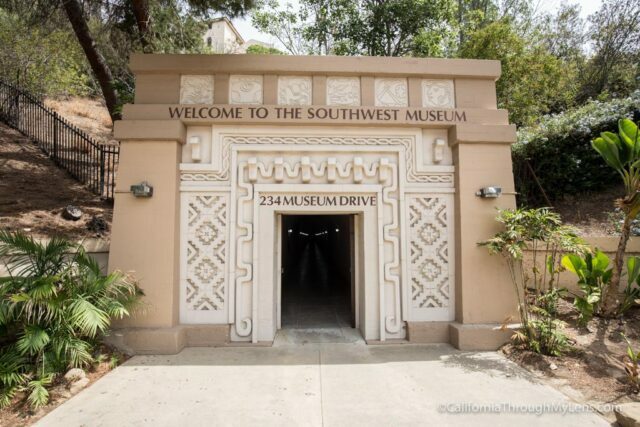 Located on the hill above the Arroyo Seco Parkway, this is the first museum in LA and one that works to keep the area’s Native American history alive. While there are not a lot of exhibits here currently it has a beautiful view of the city below. 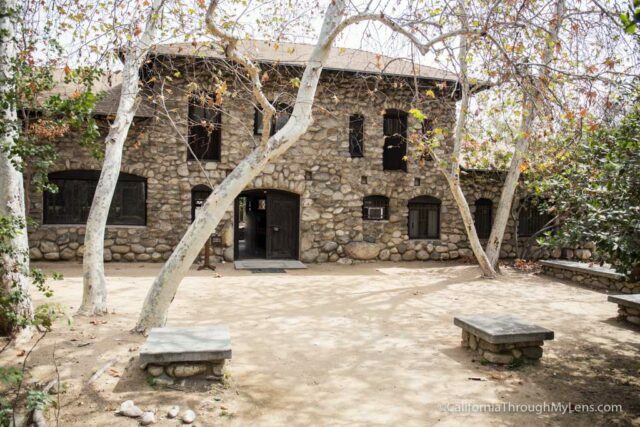 If you want to see an old house that predates Route 66, then head over to the Lummis House which is the home of the first city editor of the LA Times and a big proponent of saving Native American history in the area. From here I would recommend hopping on the 101 and getting off at Santa Monica Blvd. There are many things you can do here in LA proper but not much left of the Route 66 history. 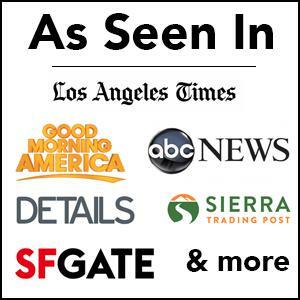 You will be driving through Hollywood, West Hollywood, Beverly Hills, then on Santa Monica Blvd. 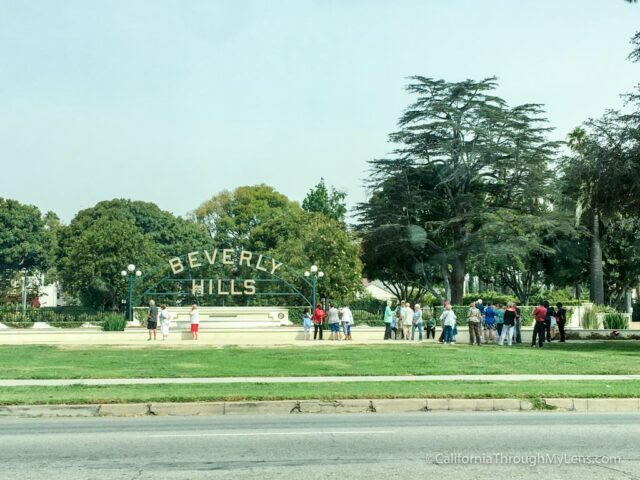 You can stop and take a picture of the Beverly Hills sign if you feel so moved. 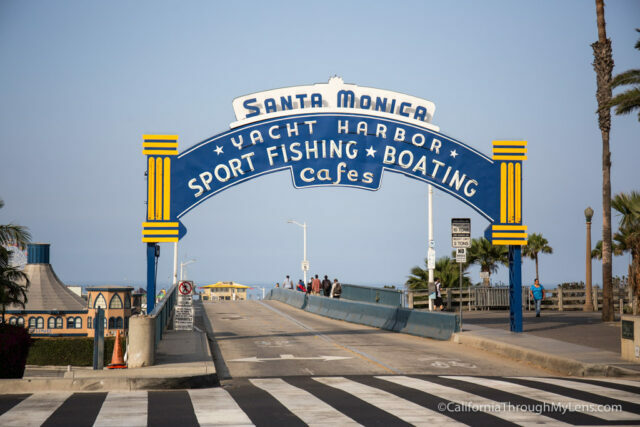 Before heading over to the pier, be sure to see the historical plaque dedicated to the creator of Route 66 which is in the park right next to the intersection of Santa Monica and Ocean. 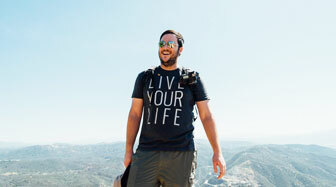 This is technically the end of the road but of course, you should walk over and see the Santa Monica Pier as well. 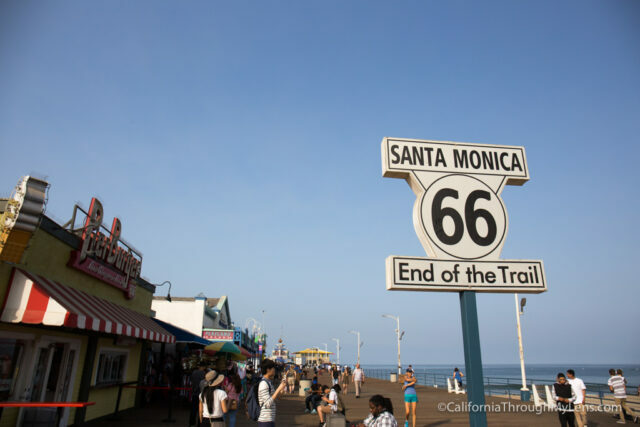 The Santa Monica Pier is where you will see the official end of Route 66 sign and it is very popular, with people from all over photographing it. 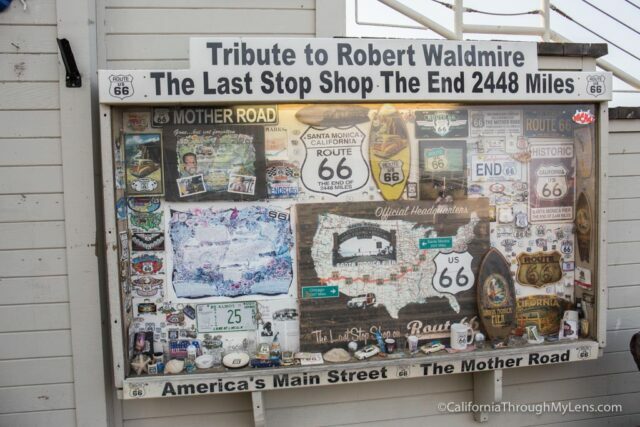 Be sure to walk all the way out to the end of the pier as well though where you can see a small wall dedicated to the last shop on Route 66 with a lot of photos and memorabilia. So there you have it, you have completed the California section of Route 66 or Route 66 as a whole. Be sure to let me know what I left off in the comments and check out more iconic drives in California here.